Favicon is the acronym of Favourite Icon. Now, what is Favicon? What is its significance? and where it is used? These things will be discussed in this article. 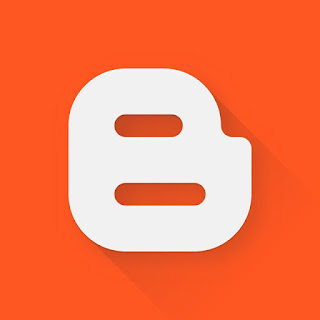 In Blogger Blog Favicon is the icon which is displayed on the browser tab with page Title, bookmarks and on the history page. A favicon represents your blog or website. This yellow high lighted icon is Favicon of your blog. Now the question is How you can set up favicon for your blogger blog? 1. Go to your blogger.com and sign in your blogger. 2. Now go to the dashboard of your blog for which you want to change favicon. 3. Now in the panel or menu select Layout as shown in the picture below. 4. Now a layout section will open and at the top favicon box will be shown. Click on Edit. 5. Now a window will be pop up. Click on Choose file and select a picture or logo you want to use as the favicon. Keep in mind that the file must be less than 100kb in size. 6. After choosing file, click on Save. 7. At last click on save arrangements box at the top right, your arrangements will save. 8. That's it, you will get a favicon for your blog. 1. You can get a favicon for your website using different websites providing you favicon for free. Search on google and you will get a lot of websites providing you free favicons. https://www.favicon-generator.org). Now choose your picture you want to make a favicon and convert it online. In this way, you will get your favorite icon for your website.